High Sierra’s range of backpacks, adventure luggage and sports bags appeals to active lifestyle consumers in the Middle East. They include outdoor enthusiasts, adventure travellers, students and young consumers, a company statement said. 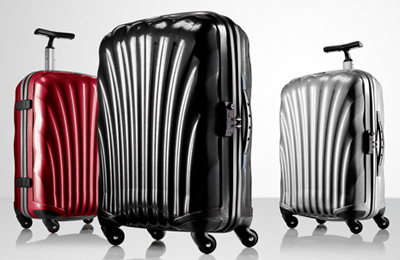 The acquisition provides Samsonite with significant opportunities for brand extensions, both direct and through licenses. With the move, Samsonite is set to gain access to sporting goods retailers, an important distribution channel where it currently has limited presence. The company also plans to open a number of High Sierra retail stores around the world. “High Sierra is a perfect complement to our existing portfolio,” said Tim Parker, chairman and chief executive officer of Samsonite. “Our deep experience in the travel luggage industry, along with our worldwide distribution capabilities and significant resources, make Samsonite the perfect brand steward to help High Sierra achieve its global potential,” Parker added. Under the terms of the transaction, Samsonite will purchase substantially all of the assets of High Sierra for $110 million in cash. The purchase is being funded from internal sources and Samsonite’s recently expanded Revolving Credit Facility of $300 million. High Sierra CEO Hank Bernbaum said: “In Samsonite, we have found a true partner that values our high quality, innovative products and the tremendous potential of our brand. High Sierra’s net sales grew by 31 per cent in 2011 to US$64 million. Approximately 90 per cent of High Sierra’s 2011 sales came from the US, with the remaining 10 per cent from the rest of the world.